Green is a color. In fact, when you look at just about any garden, I bet you can pick out several shades of green. 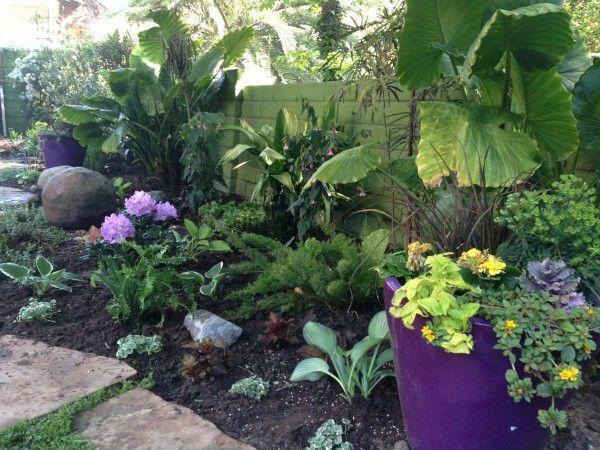 As I am sure you know, gardens can practically explode with colors other than green, but for some reason there is the misconception that a shade or part shade garden means green and only green. I love designing and planting shade gardens. 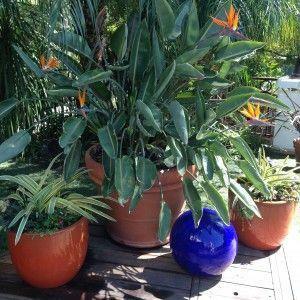 There is a quiet energy about them, and finding ways to add color to them through plants and other garden elements makes them all the more attractive. 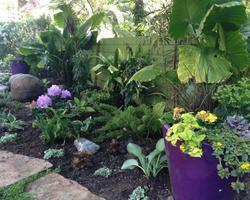 Plants can bring color to a shade or part shade garden through their leaves, flowers, or bark. Japanese maple trees (Acer palmatumvarieties) do really well in filtered light. 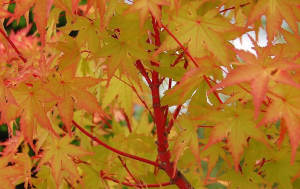 Many varieties have red, orange, and even variegated leaves. 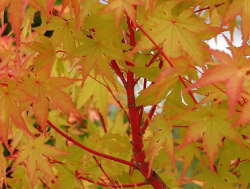 For example, the Sango-Kaku or coral bark Japanese maple puts on a show with leaves that transition from yellow to orange to red AND has bark that is a vibrant red, which looks great especially in the winter. Other favorite plants with colorful leaves that I regularly use in shady spaces include Heuchera and Solenostemon. Heuchera is commonly known as ‘coral bells’ for its tiny bell-shaped flowers that rise above colorful mounds of foliage. Heuchera blooms from early spring to late summer, but its leaves, that can come in shades from lime green to orange to an almost black-purple, are the star. Solenostemon varieties, more commonly known as Coleus, are actually tropical plants with leaves that can look tie-dyed. The more brightly colored varieties are more sun tolerant. Coleus has a flower, but unfortunately when it blooms, the plant tends to get leggy. I like to pinch off the flowers as they emerge, which will encourage more leafy growth. 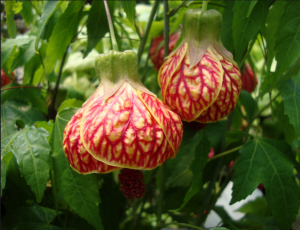 Flowering plants that thrive in shade gardens include Abutilon (flowering maple), Begonias, Hellebores, and Hydrangeas. 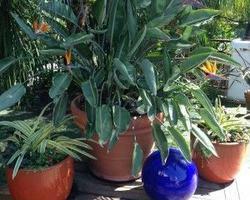 Consider adding colorful glazed planters or a fountain in a color that will highlight the plants. A contemporary ceramic gazing ball is also fun. Sculptures of powder coated metal or hand blown glass can also add a unique brightness to your garden. 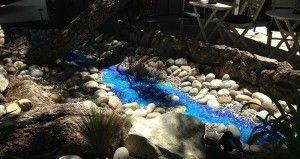 Another brightly colored element that I have been using lately is the addition of crushed glass. 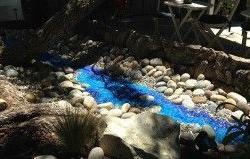 Blue glass can look like water, while reds and oranges call to mind fire and lava.